SENADO President Rosel Eugenio and COURAGE President Ferdinand Gaite. 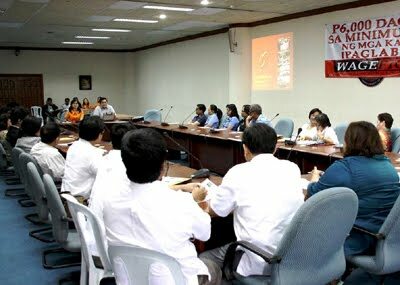 MANILA, Philippines (Mindanao Examiner / Sept. 21, 2011) - The Sandigan ng Empleyadong Nagkakaisa sa Adhikain ng Demokratikong Organisasyon (SENADO), the Senate employees’ union, led a consultative meeting Wednesday in pursuing their campaign and call for a substantial salary increase for government employees. Employees from the Sweepstakes Employees’ Union, Commission on Appointment Employees Association (CASEA), Bureau of Corrections Employees Union, Department of Foreign Affairs Personnel Association, and National Employees’ Association for Transportation Security (NEATS) also attended the forum. 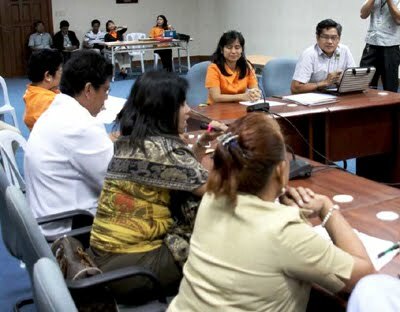 “We organized this forum to obtain the broadest support of public sector employees; and to show that we are serious in our call for a substantial salary increase,” Rosel Eugenio, President of SENADO, said in a statement sent to the Mindanao Examiner. The forum also discussed other issues and concerns of government employees, including the security of tenure of casual and contractual employees and GSIS. According to Eugenio, the need for a substantial wage hike is accentuated especially amidst the soaring prices of basic commodities and services. “We join our fellow public sector employees in calling for a P6,000 increase to the minimum pay of all government employees. As it is, even with the full implementation of Salary Standardization Law 3 in 2012, the minimum pay will still only amount to P9,000 a month, a far cry from the government’s own estimated Family Living Wage pegged at P 29,640 per month. 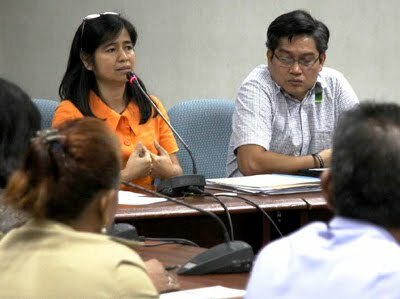 The sorry state of government employees is such that our take home pay cannot take us home anymore,” said Eugenio.